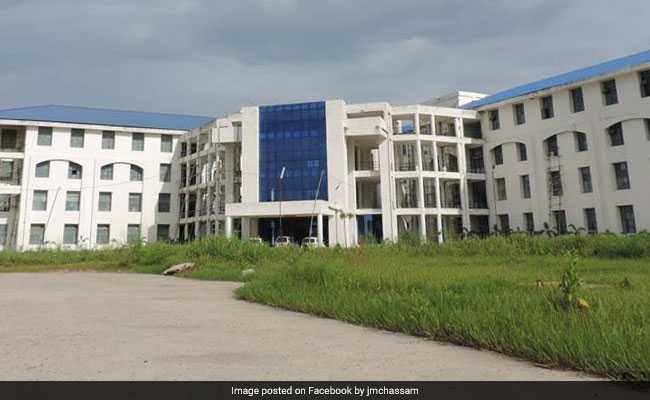 Assam Hospital Claims Infants Who Died In 9 Days Were "Critically Ill"
The hospital report said the newborns were critically ill and were given the "best" ICU facility. But, they could not be saved as their mothers did not have any medical record for their pregnancy periods. The health department had constituted a four-member high-level medical enquiry team. All the 15 newborn babies who died at a government hospital in Assam over the past few days were "critically ill and had no chance of survival", a hospital spokesperson said on Saturday. The mothers of all the deceased were 'unbooked' -- that is they had no medical records of their pregnancy, said Nilutpal Bhattacharjee, the public relations officer of the Jorhat Medical College Hospital (JMCH), where the deaths were reported from November 1-6. The number of babies admitted to the hospital's special care newborn unit (SCNU) was almost double its usual number at that time and the number of deaths was also proportionately high in tandem with increased admissions, the PRO said. Most of the mothers had delivered their babies within an hour after their arrival to the hospital, while three of them underwent caesarean sections in some other hospital. When the condition of the newborns turned serious, they were referred to JMCH, he said. The hospital report said the newborns were critically ill and were given the "best" ICU facility. But, they could not be saved as their mothers did not have any medical record for their pregnancy periods, Mr Bhattacharjee said, adding that they came mostly from the suburban areas. Though the facility at the government medical college hospital is as per the existing central government guidelines of 12 SCNU bed per 3,000 deliveries per year. But, in view of the increasing number of delivery cases, there is a high demand for increasing the SCNU beds and provisions are underway to further increase the number of such beds, the officials said. The health department had constituted a four-member high-level medical enquiry team, headed by the director of medical education, Anup Kumar Barman, which found that the death rate at the hospital was not abnormal. Mr Barman clarified that the deaths were not due to doctors' negligence and the JMCH had no infrastructure deficiency as patient doctor ratio was "fine" with equipment. In JMCH, 8,000 babies were born and, in that rate, there should be 32 numbers of beds. But, there is 41 beds in the neonatal care unit which is as per as the Medical Council of India norms, he said. "But, during the first week of November the patient rate suddenly increased and, as per the patients rate, the death rate is balanced when we compare with the death rate in the hospital during 2017," he added.